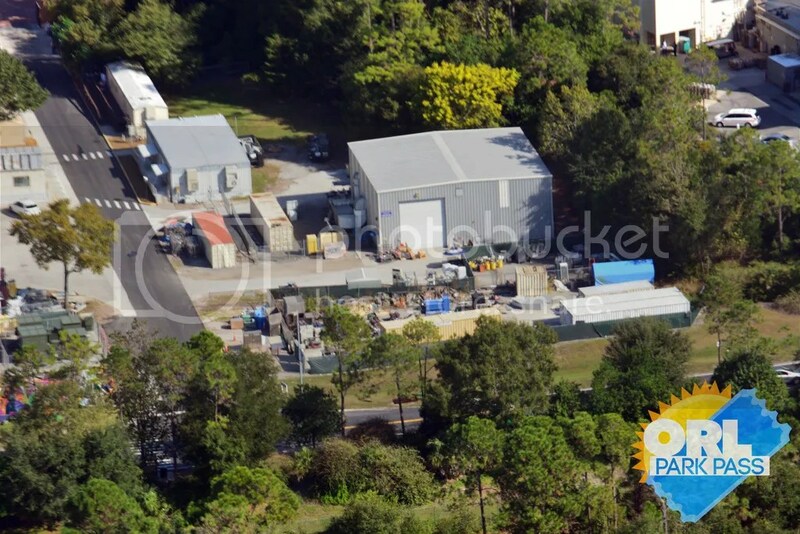 This is our second to last installment of our helicopter photo update series, our final one will be tomorrow with photos of Disney’s Animal Kingdom. 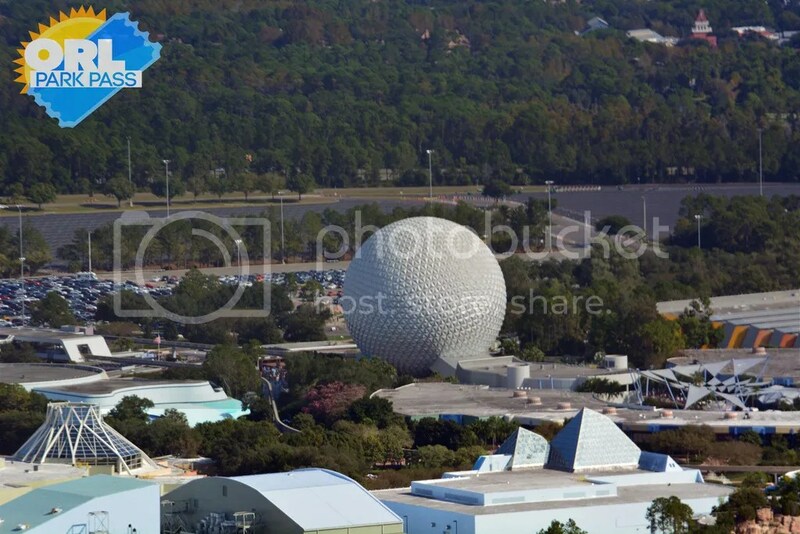 In this update we will focus on Epcot, specifically the Frozen additions and the 3rd Soarin’ theater. 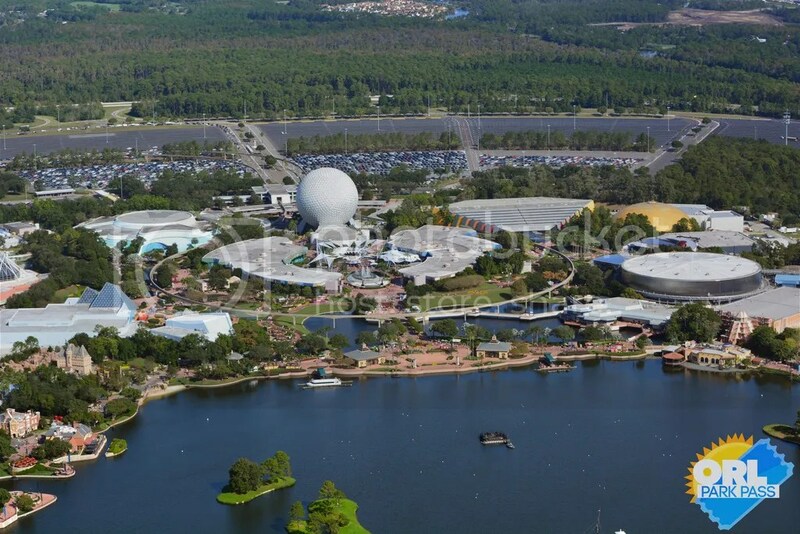 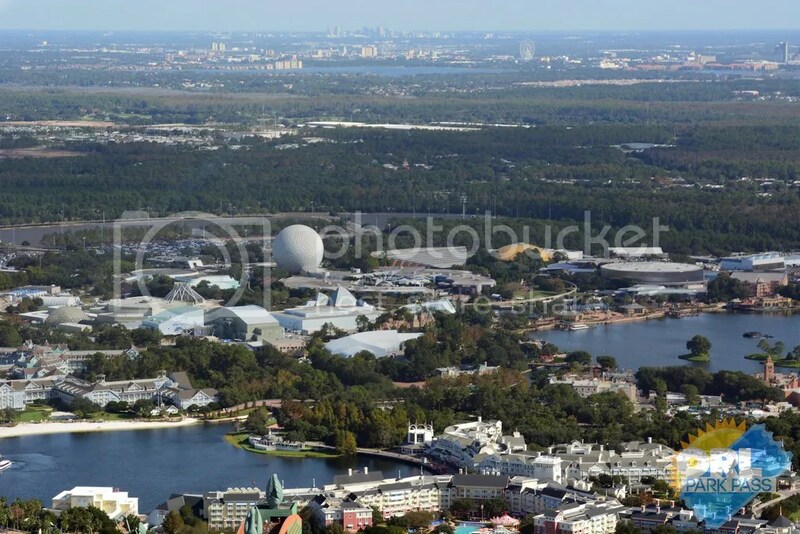 Lets start off with this amazing shot of Epcot with the Orlando Eye, Universal Orlando and Downtown Orlando in the background! 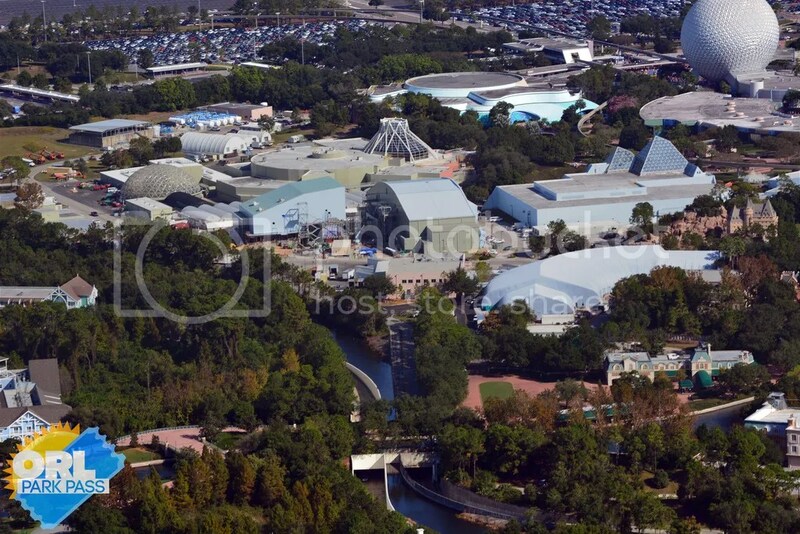 The park looks fantastic from this angle. 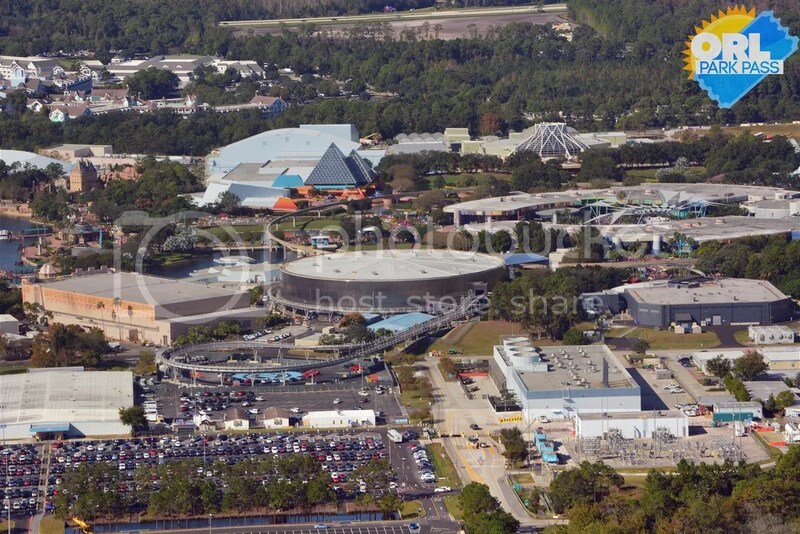 Lets take a look behind Test Track! 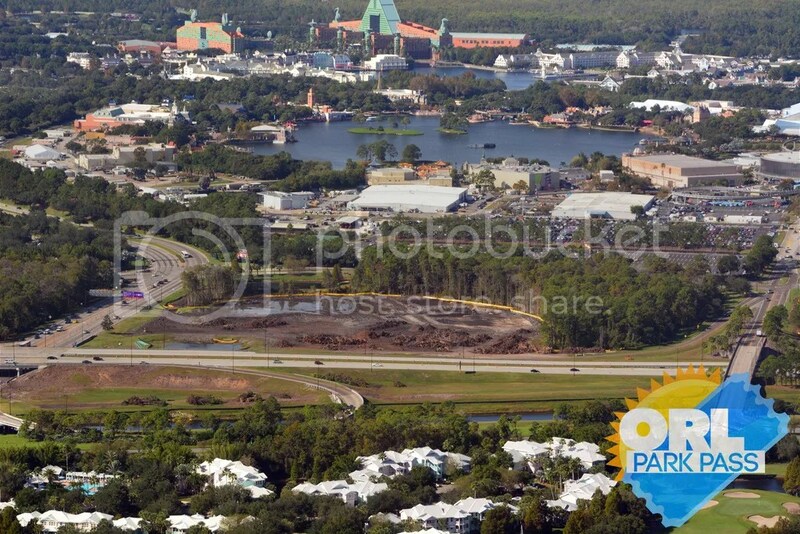 Some land clearing behind Epcot. 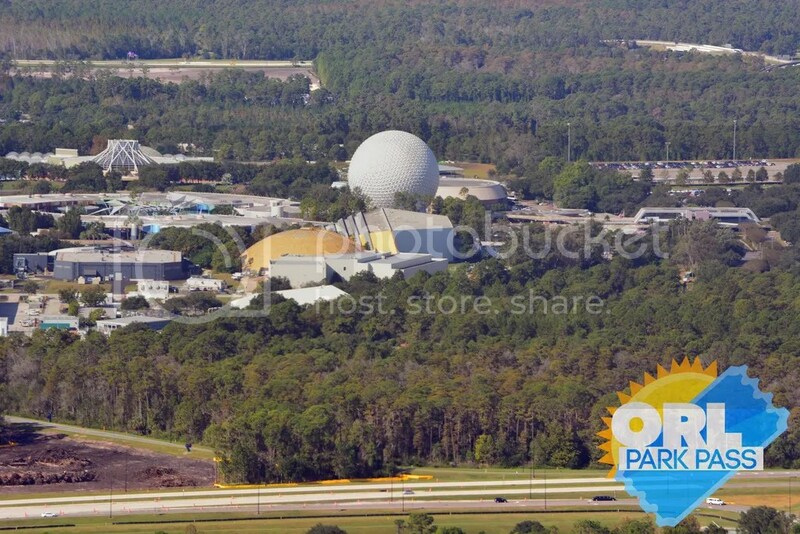 Celebrate The Joy Of Life. 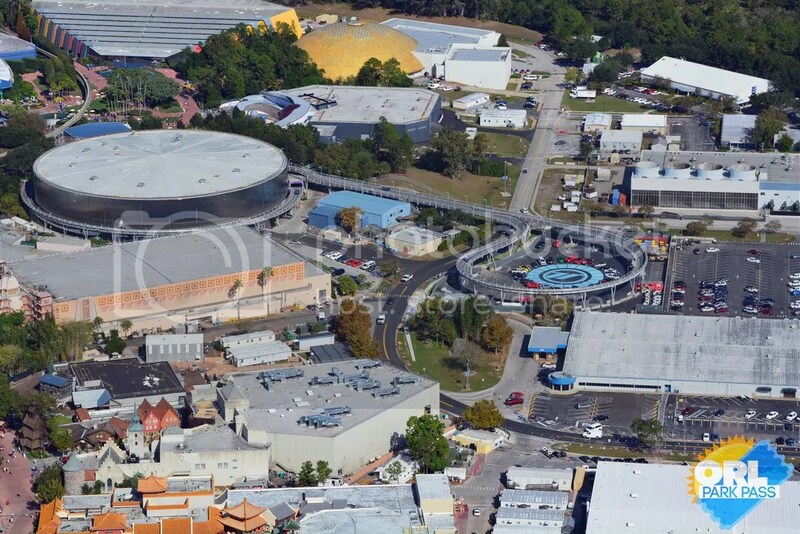 The defunct Wonders Of Life pavilion. 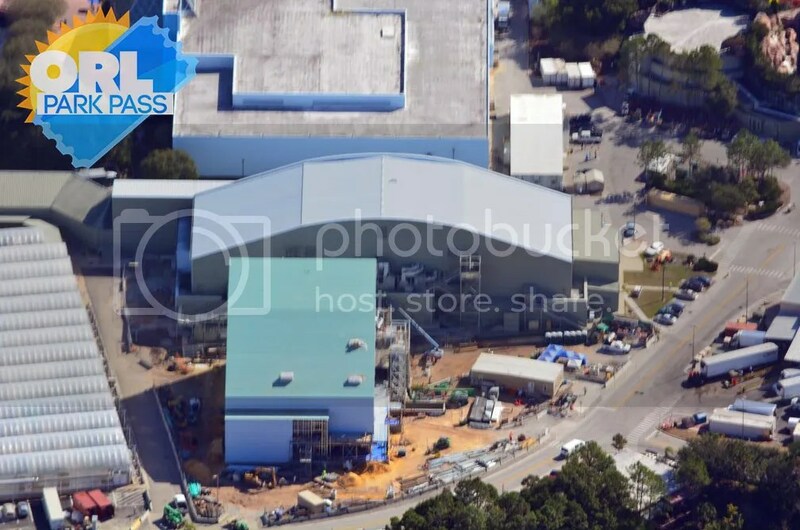 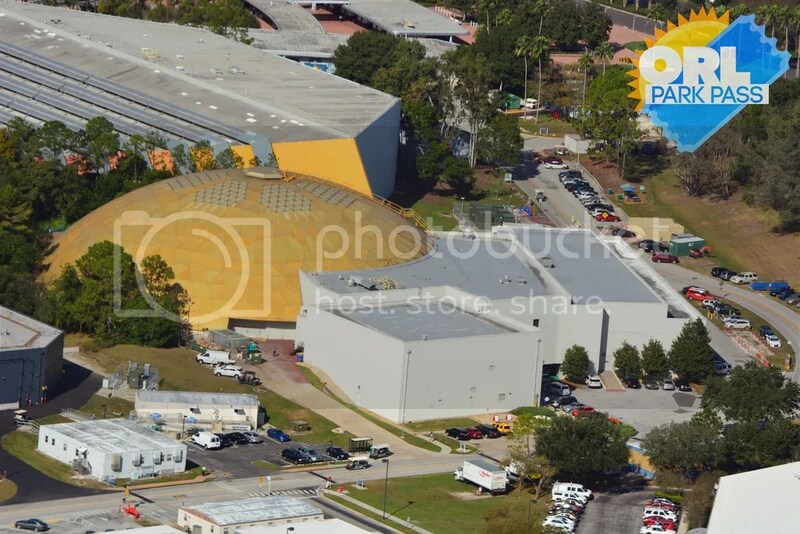 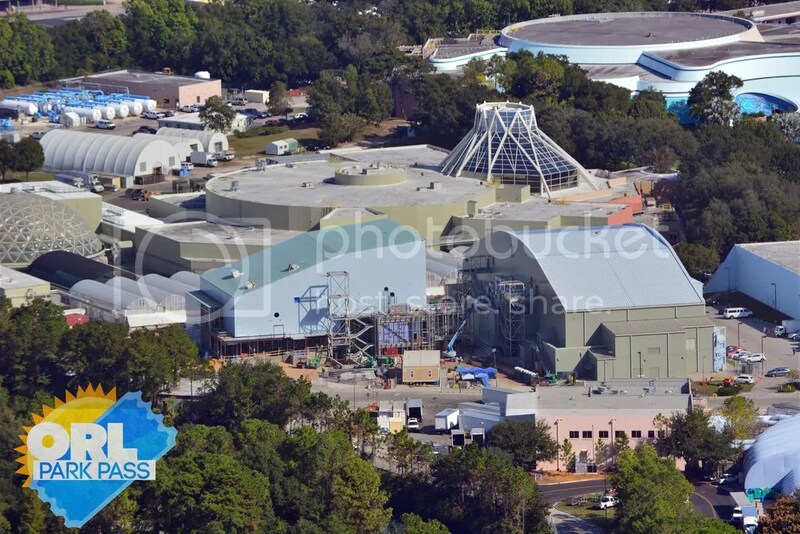 One of the former Tapestry Of Nations storage sheds..
Last but not least lets look at the third Soarin’ theater! 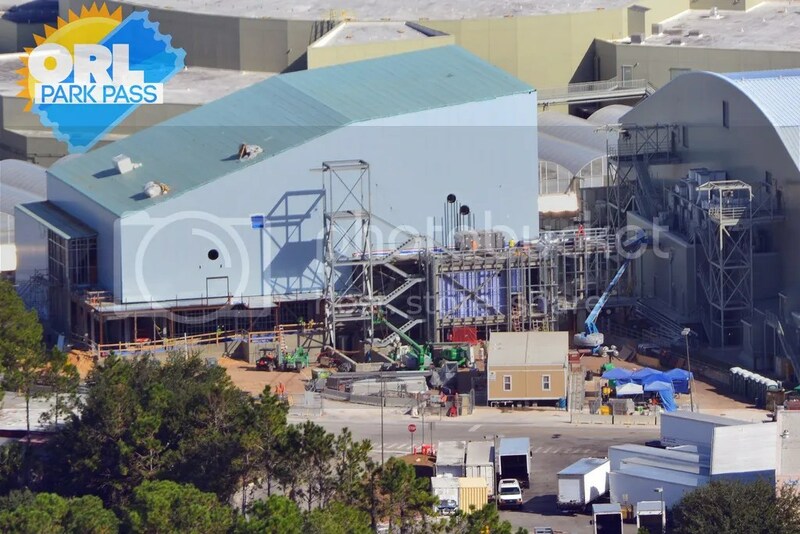 This image is blurry, but here’s another angle. 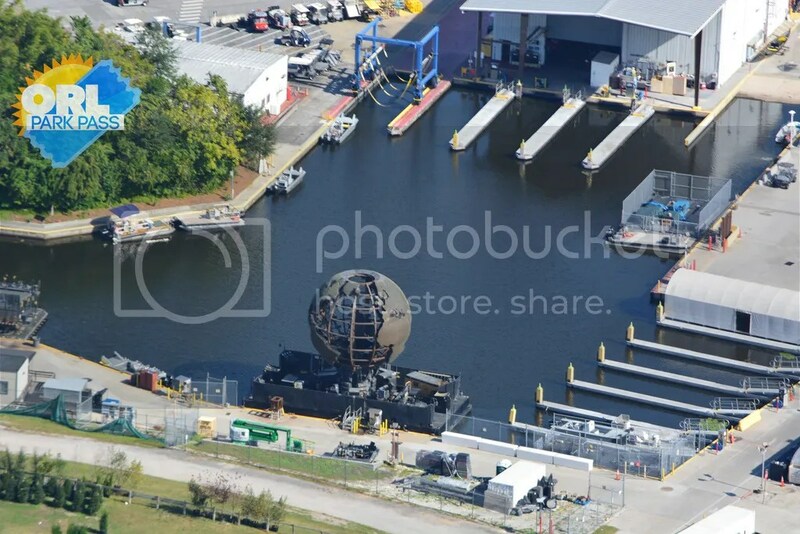 That concludes this photo update. 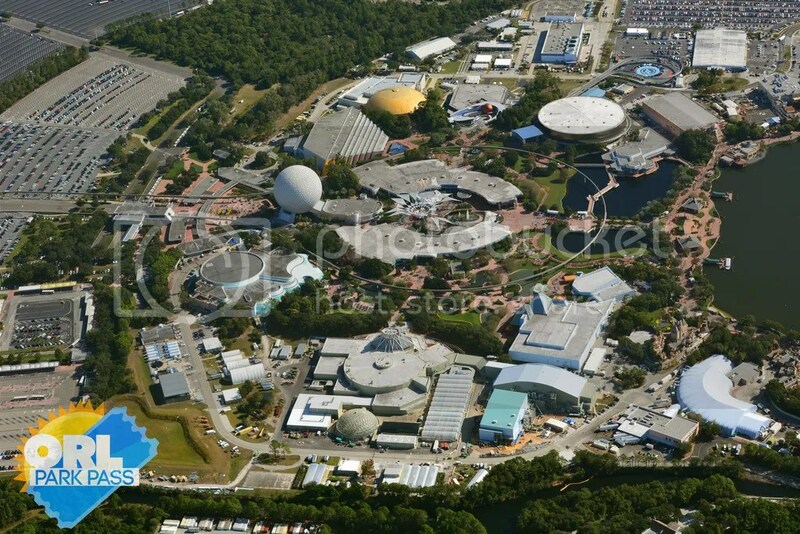 Join us tomorrow as we take a detailed view of Disney’s Animal Kingdom- featuring Avatar land. 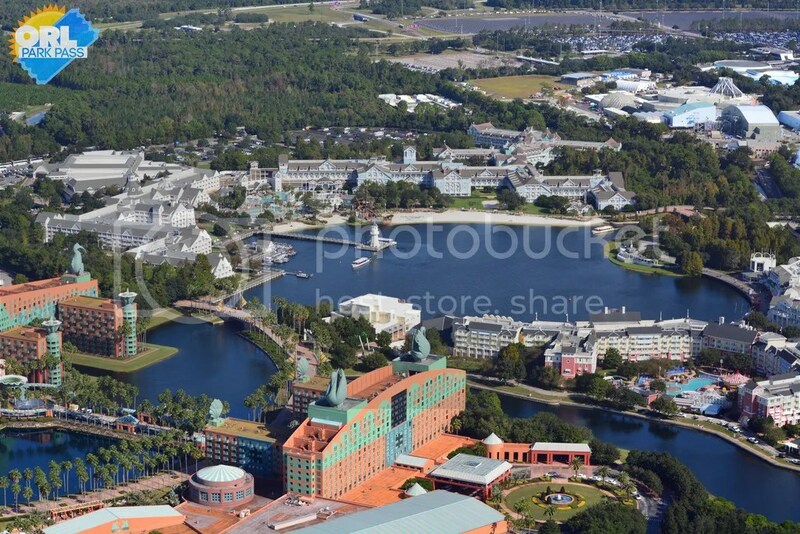 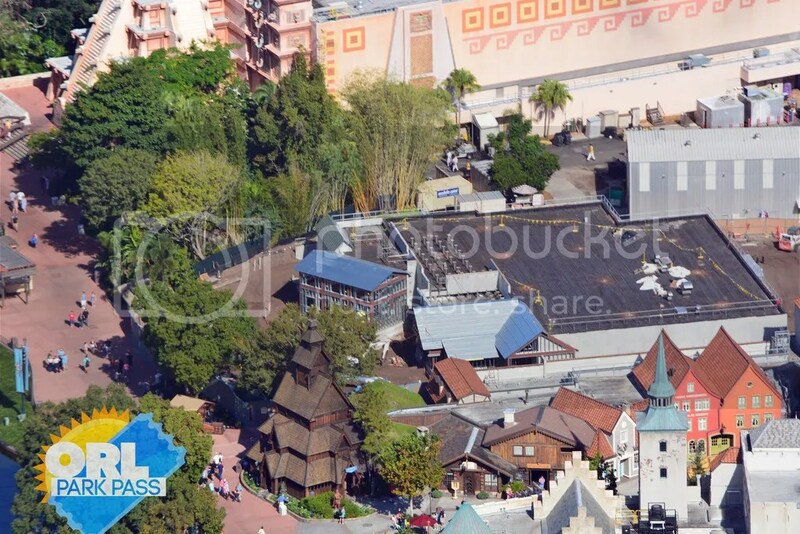 You can see our previous photo update of the Magic Kingdom here.